When it comes to event design, I'm always inspired by the creative and artful approaches that I discover daily in the wedding industry. Most of my favorite designers are color-lovers at heart, they love texture, and contrast — and they certainly don't shy away from infusing a little bit of fun into all of their designs. Do you love color too? Designers who break tradition and embrace a modern, playful approach? Well, get excited because today I'm thrilled to introduce you to one of my all time favorite designers, Jessica Boskoff of Twenty Three Layers! Hip, hip, hooray for pastels, I say! Because, seriously? Just one look at this sweet soirée —with florals by Van Vliet & Trap — and it's easy to see Jessica's amazing eye for design and beautiful approach to styling. Jessica recently styled this shoot and she had this to say, "We decided to do a styled shoot in celebration of our brand's new look and lucky for us one of our favorite photographers — the lovely Vanessa Tierney, was there to capture it all!" "With fun and vibrant colors, sweet treats, and stylish props I wanted to add a layer of style to our brand and have a little fun while doing it!" When asked about her favorite colors Jessica said, "I have a love for all things blush, mint, and aqua at the moment so I just had to incorporate pastels into the shoot." Colorful pillows, fun décor, and beautiful desserts — all added a touch of playfulness and whimsy that I really just can't get enough of! And what's not to love about pink peonies? And these darling cupcakes? love, love, love! When asked about being a designer Jessica said, "being able to express myself thru styling and design is just amazing..." "...working in a creative space allows me to really do what I love and I think that’s transcends into different areas in my life whether its planning events, entertaining friends and family, or designing my home." Care for a slice of cake, m'dears? Gorgeous florals, pretty pops of color, and amazing details throughout — Yes, please! And what's not to love about these darling desserts by Ashleigh Blackman? For one one-of-a-kind celebrations, corporate events, weddings, galas, and charitable functions Twenty Three Layers is truly a go-to event planning and design firm! When asked about her style, Jessica said, "My style as a designer is always evolving. I love bright colors and textures, clean lines and symmetry. I love to inspire and be inspired! When planning and designing an event, photo shoot or workshop, its really all about the details — we just love the details!" Twenty Three Layers is a full-service event planning and design firm, who services the New York area. Whether it's a unique and stylish function or an enchanting evening of whimsy and glamour, their careful attention is truly impressive! So what are you waiting for? Planning an event in New York? Need a bit of help? This is the sort of inspiration that sets my heart on fire, you guys! Like what you see and want to see more? Twenty Three Layers promises unforgettable events reflecting the latest and best trends in food, décor, and entertainment. 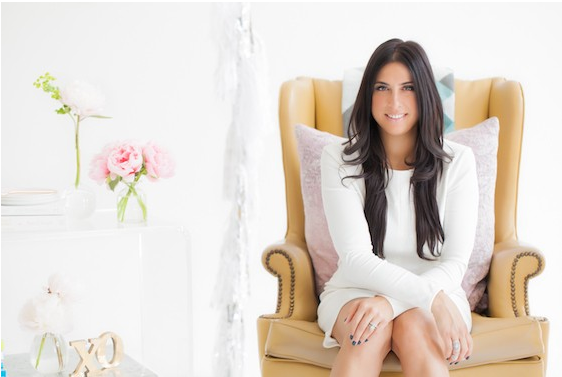 Be sure to follow New York based event planner, Jessica Boskoff of Twenty Three Layers on Instagram and if you're in the New York area, and you're in the process of planning a wedding or event, then you'll want to be sure to hop over to the Twenty Three Layers website where you can learn more about their planning and design services! 1 One Comment " Stylist Spotlight: Jessica Boskoff | Twenty Three Layers "
Wow thank you for your sharing this awesome information my friend.